Usability is one of the most prominent criteria that must be fulfilled by a software product. This study aims to evaluate the usability of SocialNet, a private social network for monitoring the daily progress of patients by their relatives, using a mixed usability approach: heuristic evaluation conducted by experts and user testing. A double heuristic evaluation with one expert evaluator identified the issues related to consistency, design, and privacy. User testing was conducted on 20 users and one evaluator using observation techniques and questionnaires. The main usability problems were found to be related to the structure of SocialNet, and the users presented some difficulties in locating the buttons or links. The results show a high level of usability and satisfaction with the product. This evaluation provides data on the usability of SocialNet based on the difficulties experienced by the users and the expert. The results help in redesigning the tool to resolve the identified problems as part of an iterative process. This research was performed under the University of Salamanca Ph.D. Program on Education in the Knowledge Society (http://knowledgesociety.usal.es) and supported by the Spanish Ministerio de Educación, Cultura y Deporte under the FPU fellowship (FPU014/04783), the Research Group in InterAction and eLearning (GRIAL) (http://grial.usal.es), and the INTRAS Foundation (http://www.intras.es). This study was funded by the Spanish Ministerio de Educación, Cultura y Deporte (grant number FPU014/04783). Kemp, S., Digital in 2016. We Are Social, http://www.slideshare.net/wearesocialsg/digital-in-2016, Singapore, 2016. 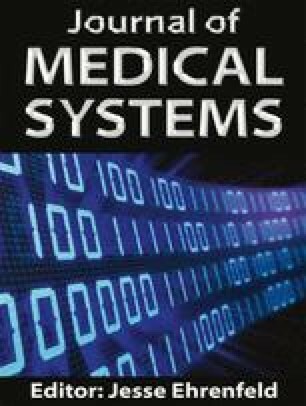 García-Peñalvo, F.J., Franco Martín, M.A., García-Holgado, A., Toribio Guzmán, J.M., Largo Antón, J., and Sánchez-Gómez, M.C., Psychiatric patients tracking through a private social network for relatives: development and pilot study. J. Med. Syst. 40(7):Paper 172), 2016. doi: 10.1007/s10916-016-0530-5. Toribio Guzmán, J.M., García-Holgado, A., Soto Pérez, F., García-Peñalvo, F.J., and Franco Martín, M.A., Study of the Usability of the Private Social Network SocialNet using Heuristic Evaluation. In: Moreno López, L., Rubia Cuestas, E.J., VMR, P., and García-Peñalvo, F.J. (Eds. ), Proceedings of the Interacción ‘16 Proceedings of the XVII International Conference on Human Computer Interaction (Salamanca, Spain — September 13–16, 2016). ACM, New York, NY, p Article 22, 2016. doi: 10.1145/2998626.2998674. Nielsen, J., Success Rate: The Simplest Usability Metric. https://www.nngroup.com/articles/success-rate-the-simplest-usability-metric/. Accessed 27/04/2017, 2001.